Dedication. Focus. Preparation. Determination. Execution. 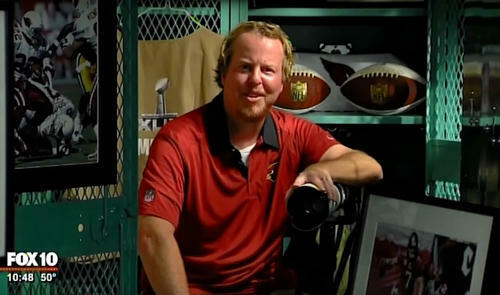 Team photographer and Sony Artisan Gene Lower sat down with sports photojournalist Brad Gass of Fox 10 in Phoenix and described what it takes to get the shot in pro football. Working a professional football game is a constant battle to be in the right place at the right time and having the right gear to bring it all together. No matter how good the last shot was, Lower is always focused on the next because he know the next shot is the one he's judged on.